On March 14th of last year undefeated unified WBO/IBF/WBA Light-Heavyweight world champion Sergey Kovalev entered the ring to defend his title against former WBC Light-Heavyweight world champion Jean Pascal at the Bell Centre in Montreal, Canada. Kovalev, who had established himself as one of the sport’s feared knockout artists had gone through virtually every opponent that had been placed before him without much resistance since emerging on the world-class level in the Light-Heavyweight division. Since winning the WBO world championship with a fourth round stoppage of Nathan Cleverly in August 2013, Kovalev had successfully defended his title four times and scored knockouts in three of those four championship defenses. Only the legendary Bernard Hopkins was able to go a full twelve rounds against Kovalev in their unification bout in November 2014. Although Hopkins was able to go the distance with Kovalev and put an end to Kovalev’s streak of nine consecutive knockouts, he was not able to provide any significant resistance as Kovalev dominated the fight from start to finish. Despite suffering the loss to Kovalev and losing the WBA and IBF Light-Heavyweight world championships, Hopkins also became the first fighter to take Kovalev a full twelve rounds in Kovalev’s career. Following what was an impressive performance against Hopkins Kovalev would defend his title for the fifth time when he faced Pascal, a fighter who fought Hopkins twice earning a draw and suffering a loss to Hopkins in those two encounters. The question that was asked of Pascal prior to the fight was the same as virtually every previous Kovalev opponent. Would Jean Pascal be able to provide a significant test for the champion? In previewing the first fight, this observer stated that I felt Pascal needed to establish himself as an elusive target and look to play the role of counter puncher. Pascal, a fighter who uses an unorthodox style that combines hand speed, power, and the ability to execute his offense in spurts was able to have success against Kovalev particularly when he was able to land counter punches and land offense when Kovalev was not on the offensive. As has been the case for many Kovalev opponents however, Pascal did have trouble dealing with the champion’s near constant pressure as Kovalev was able to consistently get his offense off first throughout the fight. One aspect that I felt worked against Pascal in the first fight with Kovalev was his inability to land punches in combination. This was attributed to Kovalev’s ability to control the distance of the fight with his jab, make Pascal miss, and return offense whenever Pascal had success landing counter punches. Of course, many remember how Pascal was able to come back after being sent partially through the ropes in the third round of the first fight. Despite appearing as though he was out on his feet, Pascal was able to survive the round, withstand the barrage of punches Kovalev put forth in the fourth round, and counter effectively. This represented the first time an opponent of Sergey Kovalev had taken his power punches, got up from a knockdown, and kept fighting. Pascal not only kept fighting, but would have continued success landing counter right hands and success landing punches to the body of the champion. Pascal also became the first fighter to test Kovalev’s chin by landing flush counter right hands throughout the fight. What had become a spirited battle between the two ended in the eighth round when after accidentally tripping following stunning Pascal with a left hook followed by a barrage that sent the challenger into Kovalev’s corner, the champion was able to land two flush right hands on the challenger who was suffering the effects of the previous barrage to force a stoppage of the fight. As this observer stated following the first encounter between Kovalev and Pascal, both fighters turned in impressive performances in the fight. Kovalev was able to show not only the ability to take a punch, but was also able to respond well to a fighter who showed significant resistance after nearly being knocked out. Pascal meanwhile was not only “Game”, not only showed resistance, but was able to hold his own and have his moments against a knockout artist. Both fighters returned to the ring in July of last year on the same card as Pascal scored a ten round unanimous decision over previously undefeated Yunieski Gonzalez and Kovalev successfully defended his title for the sixth time with a third round knockout over Nadjib Mohammedi. Following those victories, Kovalev and Pascal now turn their attention once again to each other as they will meet once more at the Bell Centre in Montreal on Saturday night for Kovalev’s unified world championship in what will be the champion’s seventh title defense. Much as was the case the first time around the focus will largely be on Pascal and in order for the challenger to be successful in this fight in my eyes he needs to establish himself as an elusive target and play the role of counter puncher. One thing that was largely absent from Pascal’s offense in the first fight was his jab. Although he was able to have significant success in landing his right hand and body punches throughout the fight, he did not throw his jab consistently and was inconsistent in throwing combinations. Pascal needs to find a way to control the tempo of the fight and not allow the champion to fight at a distance where he is comfortable and able to control how the fight is fought. Although Pascal will need to be effective in landing counter punches as he was able to do in the first fight, he needs to throw more than one punch at a time and find a way to nullify Kovalev’s offensive output. Even though Pascal is known as a fighter who does not execute his offense in volume I feel he needs to throw more and not allow himself to be put into a position where Kovalev can immediately return offense in order to be successful. One of the ways Pascal may be able to have success could be to use more lateral movement, angles, and work the clock during a round. If Pascal can find a way to make Kovalev work in order to put himself in a position to land his offense by moving laterally and thus nullify Kovalev’s offensive output for the majority of a round he may be able to win rounds by landing punches in spurts. It is crucial however, that whenever Pascal throws his punches in this fight he needs to throw them in combination. As much success as he had against Kovalev in the first fight landing counter right hands, he needs to give Kovalev something else to think about besides being on the lookout for the right hand. Whether or not the jab will be a consistent part of Pascal’s offensive arsenal remains to be seen. Kovalev meanwhile will likely look to apply consistent pressure much as he did in the first fight and cut the ring off from Pascal. It will be interesting to see however, if the champion will be able to avoid Pascal’s right hand. Although Kovalev was the more active of the two fighters in the first fight and was ultimately able to stop Pascal, he must not be complacent and rely on his power alone to lead him to victory. Kovalev is known as a seek and destroy fighter, but what often gets overlooked is the tactical way in which he sets up his offense. He must be tactical in his approach in this rematch against Pascal and must find a way to nullify Pascal’s movement and his ability to land counter punches. If Kovalev can apply pressure, control distance, and avoid Pascal’s counter punches the advantage will likely be in his favor. As was the case prior to the first fight, the Boxing world continues to anticipate a battle between Sergey Kovalev and WBC world champion Adonis Stevenson in a unification bout. Jean Pascal is once again cast in the role of spoiler to any potential plans there might be for an eventual Kovalev-Stevenson showdown. 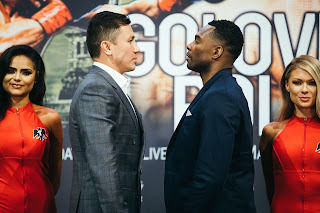 The first encounter between the two produced a spirited battle that also provided some answers to questions that have been asked about Sergey Kovalev. Whether or not Jean Pascal can produce an equally spirited effort in the rematch remains to be seen. We will see what happens when Kovalev and Pascal square off again in Montreal on Saturday night. Kovaelv vs. Pascal 2 takes place Saturday, January 30th at the Bell Centre in Montreal, Canada. In Canada, the fight will be televised on Pay-Per-View for $59.99 SD/$64.99 HD. Contact your pay-per-view provider for ordering information. In the United States, the fight will be televised by HBO Sports. The HBO Sports telecast will begin at 9:45PM EST/PST. In the United Kingdom and Ireland, the fight can be seen on BoxNation at 2AM (Sunday, January 31st) Local UK Time. Check your local listings internationally.